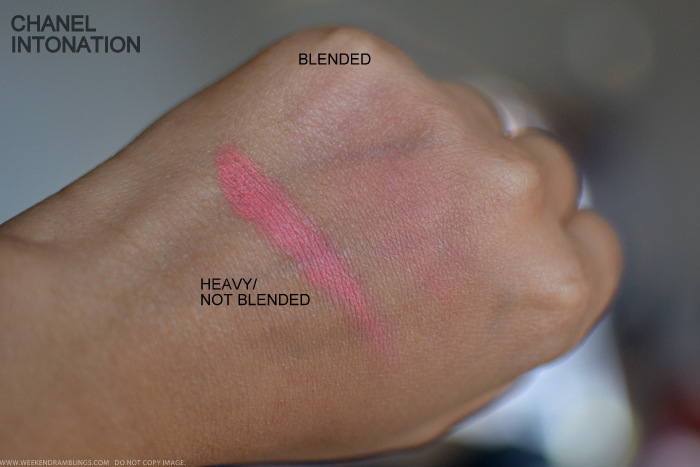 Chanel Intonation is a warm pink with some coral tones to it, and on swatches on my hand it does look like a warm pink, but buffed and blended on my cheeks, the color translates to a light pink. It is quite a subtle blush, and while the color is easy to build up, applying in excess makes it look an ashy-whitish pink on my darker skin. The finish is powdery matte with a bit of a sheen to it. 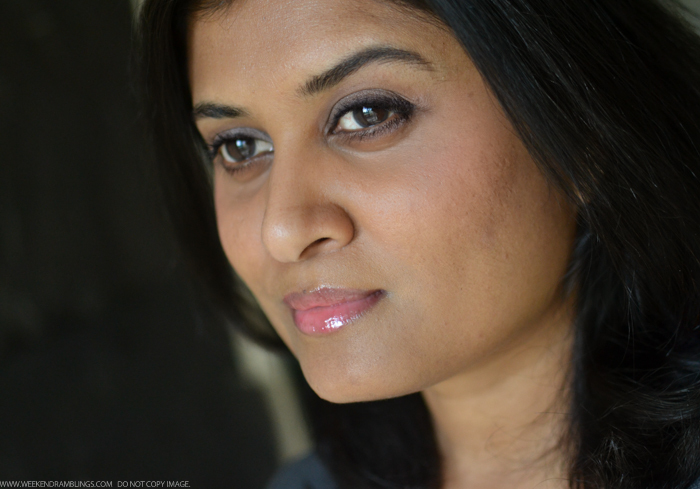 Here's a look at Chanel Intonation on my darker Indian skin. The blush is a lighter color and I don't think it shows up all that well at all in this photo, but this isn't the sort of color that would show up too well on my skin. I have found the Tom Ford Cream Foundation brush the best to apply Chanel cream blushes, and once properly blended into the skin, I do find the color lasts almost the entire day. 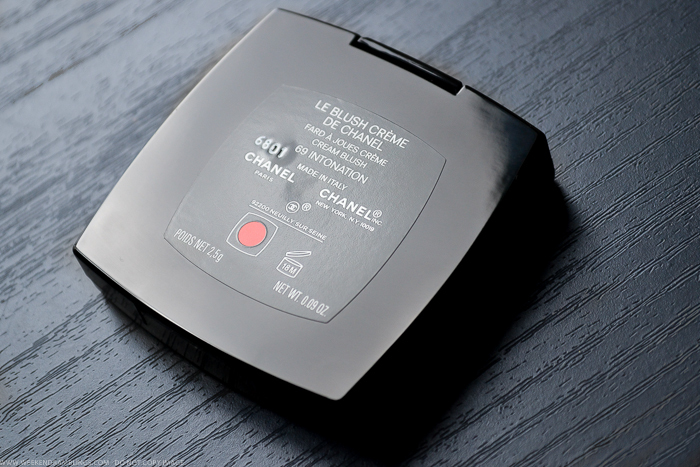 Overall, Chanel Intonation is a nice blush for when I want a subtle, healthy pink flush, but it's not a shade I would pick for someone my skin tone or darker. 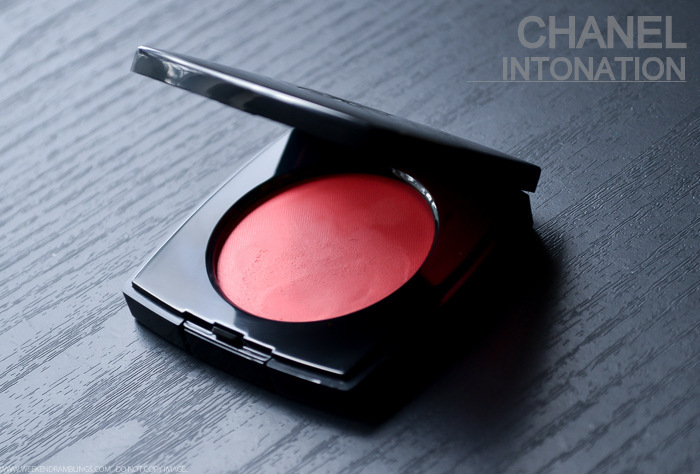 I prefer Chamade - the other blush from Chanel's Spring 2014 collection. thats such a beautiful blush. I couldn't buy it as I knew I would not use it on clients. I bought the one called Chamade which goes so beautifully on my peach toned skin. Lovely review and an amazing product. 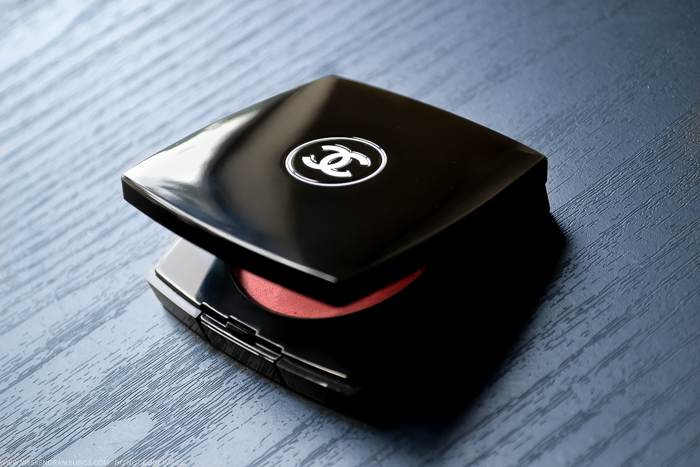 Have you tried applying this blush with a Chanel blush brush? 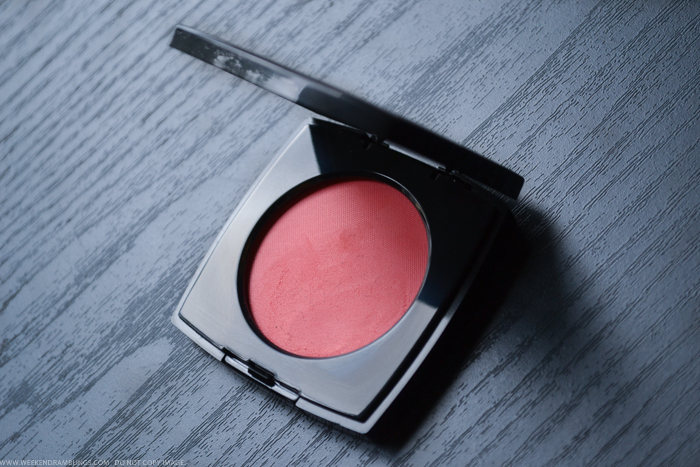 I think it applies the blush much better....Its such a perfect blush for Spring and Summer. Thank you for the lovely swatches. I do have a question though... I am looking for a good blush brush for applying cream blushes... and I am confused between Tom Ford Blush Brush and Tom Ford Cream foundation brush. Which one would you suggest? I am already using MAC 130 for my gel blushes... but I need something in paddle shape. Thank you again. Hi Resham! Sorry about the late reply. I have been using the Tom Ford Cream Foundation brush for applying my cream blushes, and I personally find it quite nice to dab on the blush as well as to blend/buff it in. This isn't a traditional flat paddle shape, but it does seem ideally designed to apply cream products.